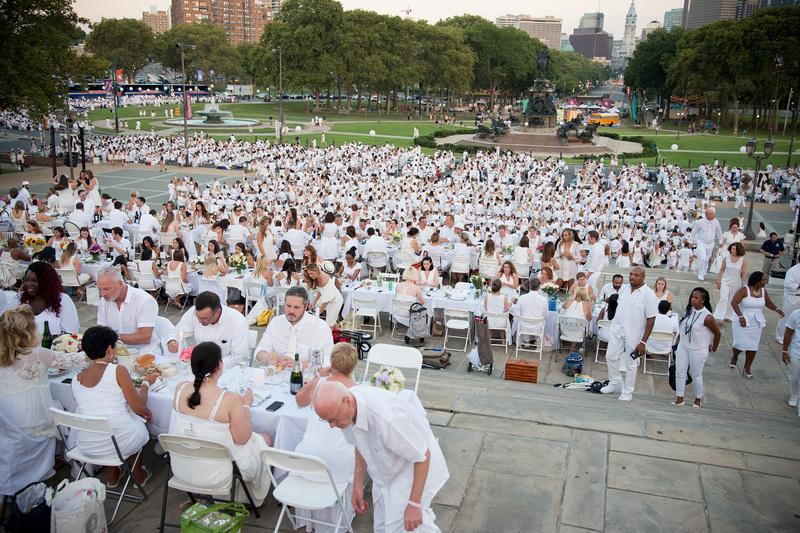 On August 17, the largest Dîner en Blanc ever in the U.S. kicks off in Philadelphia. On that night, 5,200 attendees dressed head to toe in white will gather at a yet-to-be-disclosed location with all their own white dining supplies: a table, chairs, linens, silverware, china and a picnic basket full of food and drinks. They’ll set up everything, have a fabulous meal together under the stars and the rest of us will watch it unfold on Instagram. 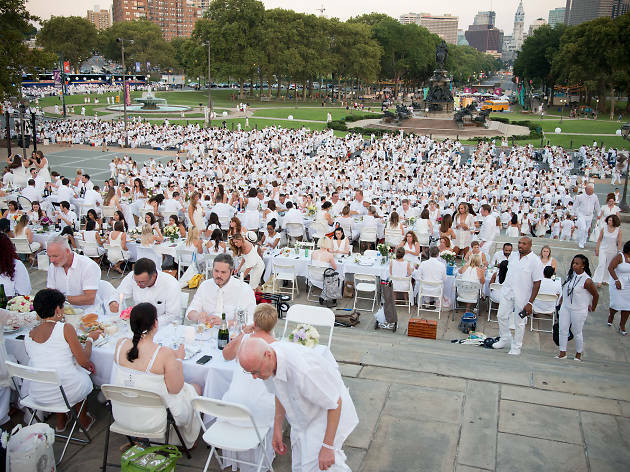 Dîner en Blanc is one of Philadelphia's most-anticipated events of the year. So anticipated, in fact, it’s completely sold out and there are nearly 43,000 people on the waiting list. If you're one of those people, we have some good news. We’ve teamed up with Dîner en Blanc co-hosts Natanya DiBona and Kayli Moran to give away a registration good for two at the exclusive affair. The victor will also be set up with a table, two chairs and linens and a certificate for an overnight stay at the Sofitel Philadelphia. The winner will need to follow all the other rules: wear white and bring their own drinks, china, silverware and any decorative elements for their table. The location of Dîner en Blanc will be announced the day of the event. Past destinations have included the Philadelphia Museum of Art, the Navy Yard, Ben Franklin Bridge and more. Sign up below to win two tickets to Dîner en Blanc 2017. Time Out does not endorse or make any representation about the prize or quality of the services that are part of the prize. By participating in this contest, entrants agree to receive promotional emails from Time Out and waive any claims against Time Out arising out of use of the prize and related services. The odds of winning are relative to the number of correct, eligible entries received; winners will be drawn at random from this pool.